A week of free parties? Can this be a true!?! 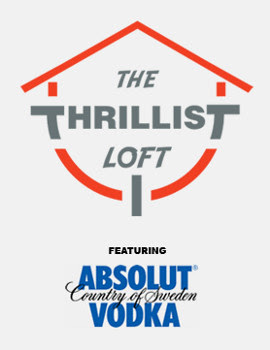 In case you missed it in your inbox last week, this week Thrillist has gone buck wild with ABSOLUT as their sidekick to bring you a 5-day party showcasing some of the coolest stuff they’ve found, held at the Thrillist Loft. LOFT DESCRIPTION: The place will be stocked with the likes of Ferrari seats-turned-office furniture, functional clocks made from Yankees helmets, throwing-star magnets, and Zontik board games so luxe, when you see one you’ll fall right off your Chute and Ladder. Beyond the uber-swag, ABSOLUT Vodka will be providing flair bartenders to teach you a few new tricks and flips, making you as talented as a Cocktail-era Tom Cruise, and twice as handsome. CATCH? If this really is a catch, you have to be selected to attend. No, you don’t have to send in your internet dating profile. Just click on the links below to RSVP, and if you’ve been chosen, they’ll email and let you know. Trust me – if they select you, cancel that cliché happy hour with your coworkers, and invite your bestest friend (or at least someone hot) to tag along.